I deleted the “Solitaire” app on my phone. As it turns out, this was something I needed to give up for Lent; maybe forever. The Spirit showed me how I use this game far more than just as an occasional form of entertainment. It consumes far too much of my down time. It’s “almost” an addiction. I plan to use my Bible app and my Kindle app (I have several good books that need to be read) in lieu of playing virtual cards. The world behind, the Cross before. For weeks, I’ve been looking at my busy schedule in March and April with a sense of dread and regret. I’m officiating a wedding, preaching a sermon, leading a Worship Leader’s Retreat, and overseeing a huge Easter project. And this is on top of my regular worship leading, Lifeline supervising, preaching teaming, pastoral leadershiping, seminary teaching, grandparent parenting, wife supporting, kitchen cleaning, whole life worship blogging and all the other “ings” I do on a regular basis. Admittedly, I’ve been also “bellyaching” about it (in the disguise of a “prayer request” – some of you get this, huh?) But no longer. I’m beginning to see each task and role as an opportunity to serve Jesus, His church and His world with loving sacrifice, as He did. The world behind, the Cross before. Soon the Ashen Cross will be totally gone from my forehead but I’ll need to be reminded of my walk with Christ to the Cross. This is where the rhythm of Whole Life Worship comes into greater play: Personal Worship, Worship in the Everyday Ordinary, Spiritual Friendship, and Congregational Celebration. The journey away from the world and towards the Cross requires the connectivity to God and His people that these rhythms support. Whole Life Worship is not just an option or an “add-on.” It is a necessity in order to leave the world behind, and pursue the Cross before. But I’m excited for this journey and the transformation and fruitfulness this will bring. 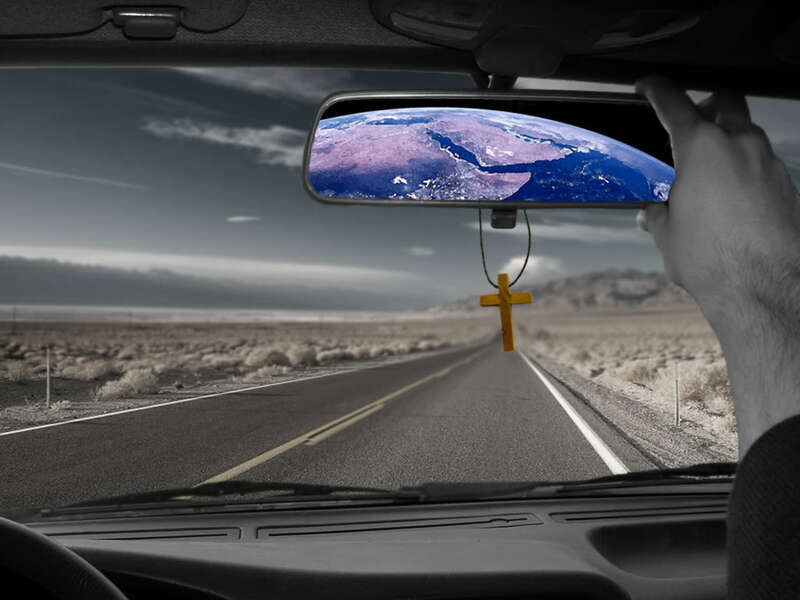 How do you feel about leaving the “world behind” and pursuing the “cross before” you? What helps you to gain traction on this journey? For the first time in my “evangelical / Baptist” life, I am observing lent (sans the ashes) as a way of leaving the “world behind” & placing the “cross before”. Thanks for the encouragement and the courage to stretch beyond and go deeper with Jesus. I have a long way to go on the journey toward “whole life worship”.